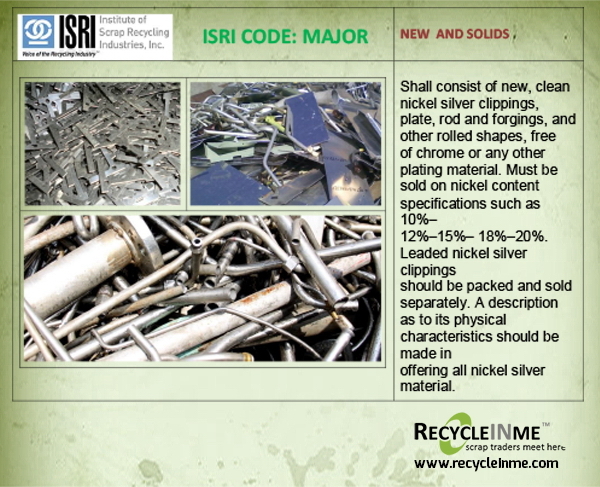 ISRI CODE: MAJOR consist of new, clean nickel silver clippings, plate, rod and forgings, and other rolled shapes, free of chrome or any other plating material. Must be sold on nickel content specifications such as 10%– 12%–15%– 18%–20%. Leaded nickel silver clippings should be packed and sold separately. A description as to its physical characteristics should be made in offering all nickel silver material. 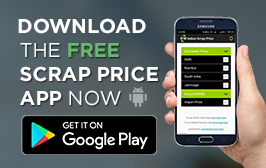 How to know the current scrap prices in India?